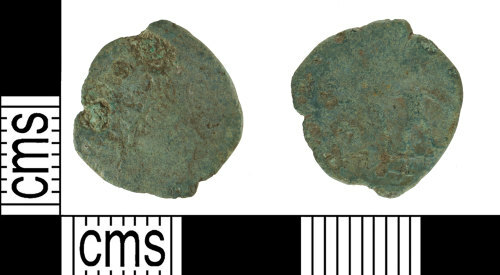 A copper-alloy Roman probable barbarous radiate, copying uncertain Emperor, dating to the period AD 275-285. Reece period 14. Uncertain reverse type, possibly depicting Salus feeding snake rising from altar or Virtus. Mint uncertain.